A few hours before Father's Day ended, I chanced the local airing of a critically acclaimed Japanese film, Like Father, Like Son. It's most prestigious recognition came from the Cannes Jury Prize. Truth to be told, I've been half-hearted with award winning films. Either I like it or don't. It has always been a make or break outcome for me. Like Father Like Son relates a life changing discovery that intertwined two families. Years after the birth of their sons, the management of the hospital admitted a tragic mistake. Their sons were switched by a frustrated and depressed nurse. To return the sons to their real families is easier said than done. In the end, the two families agreed to gradually prepare their sons. Every weekend, the two families meet and exchange sons. Unfortunately, the arrangement only worked for a limited time. As expected, more worries, conflicts and problems emerged. The incident in the hospital is impossible to happen in today's time. However, the events that prevailed between the two families surely happen among parents and children. Much of the film dealt with the well-off family residing in the city. Ryota Nonomiya, a successful businessman is driven by his ambition to economically uplift his family. The tradeoff of Ryota's priorities, lesser time and attention for his wife, Midori and son, Keita. 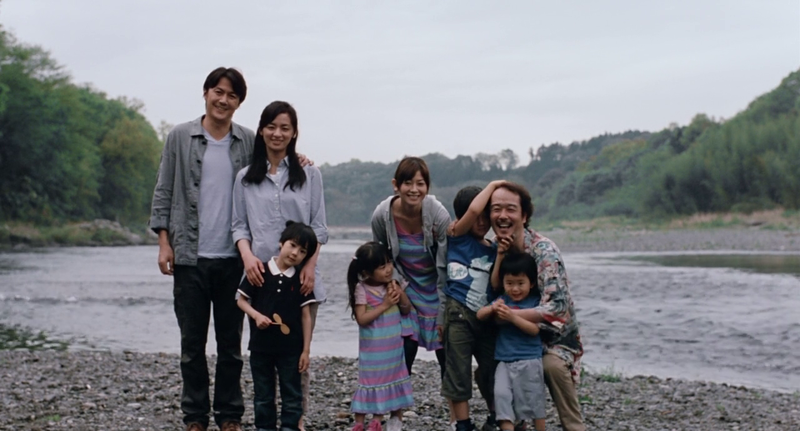 The movie also personified Ryota as the imposing father to Keita. Yudai and Yukari Saiki live in a modest province with Ryusei and other children. Unlike Ryota's family, Yudai's family is economically challenged. In fact, Yudai was even portrayed as a greedy victim, hoping to receive some money from the hospital. However, Yudai appeared to be the better father to both Keita and Ryusei. Both kids loved the modest home that Yudai and Yukari provided. On the contrary, all the comforts that Ryota provides seemed to be irrelevant for Keita and Ryusei. An ironic reality present in the film, those who don't have that much in life appeared to become a better provider of love and affection. There's so much about family and parenting to learn from this movie. During this time when money is everything, one will realize that parenting goes beyond providing. Parenting is nurturing. Likewise, the movie emphasized that children define love with time and attention. I guess there's nothing new with this kind of theme and message. What made the film moving was its execution. Initially, Ryota was depicted as a selfish and heartless father. He even taught Keita to lie about the time they spent as father son for a school interview. He was presented as the protagonist exhibiting the attributes of an antagonist. Some turn out of events, Ryota saw in his own eyes, his lone heartbreaking failure. It took a painful father-son scene to make Ryota finally learn how to become a father. This time, an award winning film did not fail me. Definitely, 5 out of 5 stars for Like Father, Like Son. This film sounds like one I would like; I had not heard of it before your post. I am curious about this movie. The focus is on the fathers I guess, but I am reminded of this story of the mixed up twins of Bogota (posting link here for your reference: https://www.nytimes.com/2015/07/12/magazine/the-mixed-up-brothers-of-bogota.html ;-) ).